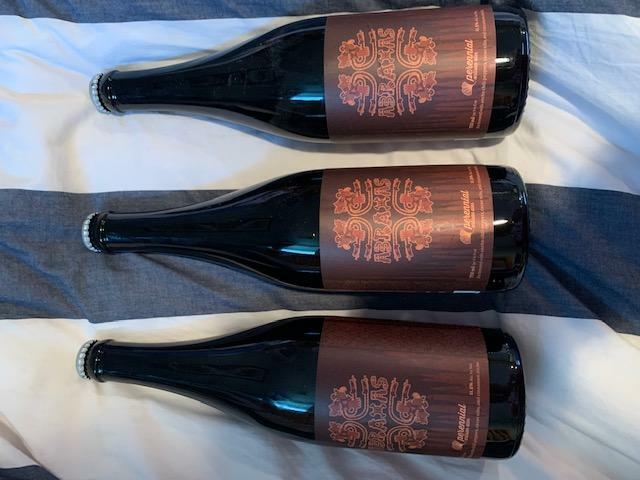 2 bottles of 2017 Perennial Abraxas packaged on 11/8/2017. Description:Imperial Stout brewed with Ancho Chiles, Cacao Nibs, Vanilla Beans & Cinnamon Sticks. $110 for the 2 or $60 for 1. I am the original owner of these bottles. These have been properly cellared in basement cellar. Message me with any questions. Please see previous sales or email for references. Payment is through Paypal or Venmo only. After purchase, please email me directly and do not follow the link MyBeerCellar sends. Thanks!